L’Ofre: The mysterious “volcano” of Majorca! Puig de l’Ofre is one of the highest mountains in Mallorca and one that hides more legends and secrets. Together with Els Cornadors, is the summit with which we can complete a tour to Barranc de Biniaraix. Venture into this so peculiar ascent and discover lots of stories and curiosities throughout the route. This trek is very spectacular because of their most impressive panoramic each time on the Puig Major (1.445 meters), the reservoirs of Cúber and Gorg Blau and the beautiful views of the island to the beach of Port de Sóller. The tour begins crossing a pine forest before reaching a stunning valley framed by mountains. On the way we will find paths of smugglers, lime kilns and snow houses, and lots of footprints of Mallorca’s history. At 900 meters above sea level, the valley ends abruptly and we will face a steep slope, which preserves intact its very lush vegetation above 1.000 meters elevation. This mountain is very unique for its curious shape, which is almost perfect pyramidal or conical, and gives an almost volcanic aspect. We will continue ascending along a narrow path through rough territory, reaching the top of the mountain. The incredible views of the Serra de Tramuntana make us understand why l’Ofre is also called the “roof of the world“. The way back, between juniper and rosemary bushes, reward us with magnificent views over the two artificial lakes, where we will finish the tour. Our hiking guide, who knows the area and friendly service, will guarantee us a safe, enriching and fun tour, and will explain the most important aspects of the places visited. We will do a trek that will make us travel to the earliest times, both by the landscape and by the stories and legends. We will contemplate the breathtaking views of the Serra de Tramuntana: Puig Major, Cuber Range, Els Cornadors, Alfàbia Range, Coma de Son Torrella, Cúber and Gorg Blau dams, Na Franquesa… and much more! Our guides and instructors have extensive experience with all types of people and groups. Contact our reservation center to inform and advise with everything you need. Do you want to choose when and how to enjoy your exclusive tour? Contact our reservation center and our best guide will accompany you on an adventure completely tailored to your needs and preferences. 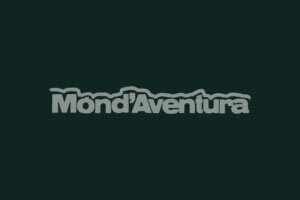 This tour is not scheduled in the calendar of activities Món d’Aventura. If you are interested in this route, contact our reservation center and we will explain how to book it.